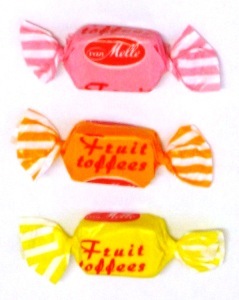 Dutch fruit toffees are a real treat from Holland. There are three flavors in this mix from Van Melle: Strawberry, lemon, and orange. All three have amazing, strong, real fruit flavors.